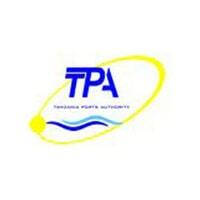 Tanzania Ports Authority (TPA) was established under the Ports Act No. 17 of 2004. The Authority is vested with the obligation and responsibility of developing, managing and promoting the maritime sector in Tanzania mainland. The major role of TPA is to enhance the advantages of the geographical position of Tanzania’s maritime resources to fulfill its mandates including provision of services in relation to loading and unloading of cargo and passenger services at all ports in Tanzania. Master’s Degree either in Mechanical Engineering, Civil Engineering or ElectroMechanical Engineering from any recognized institution with working experience of at least Ten (10) years in relevant field, of which Seven (7) years must be in senior positions in an organization with annual actual capital projects expenditure of not less than TZS 250 billion and registered as Professional Engineer by ERB. Qualifications and Experience Master’s Degree in Law from any recognized institution plus successful one year training at the School of Law who is registered as an Advocate of the High Court and Subordinate Courts with working experience of at least Eight (8) years in relevant field, of which Five (5) years must be in senior position. Must also be computer literate and Fluent in English and Swahili languages. Qualifications and Experience Master’s Degree in Civil Engineering from any recognized institution with working experience of at least Eight (8) years of which Five (5) years must be in senior positions and registered by ERB as Professional Engineer. Must also be computer literate and fluent in English and Swahili languages.